We like to order fajitas at Mexican restaurants because it is generally a good indicator about the quality of the restaurant’s food (and because we love it!). At Elsi’s this is definitely the case. The chicken is dry and bland, and the flour tortillas are extremely chewy. 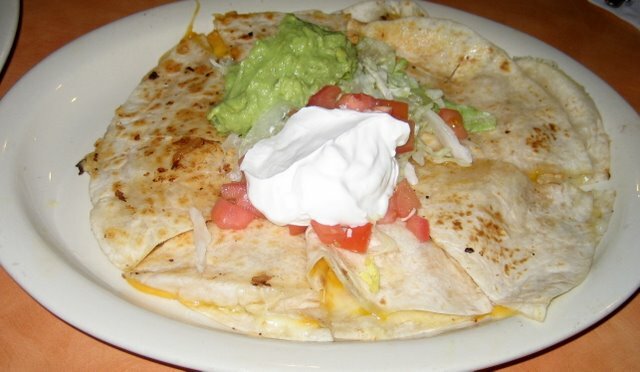 These are the worst fajitas we’ve ever had. Empanadas are Central American turn-overs filled with either beef, chicken, cheese, or spinach & mushroom. 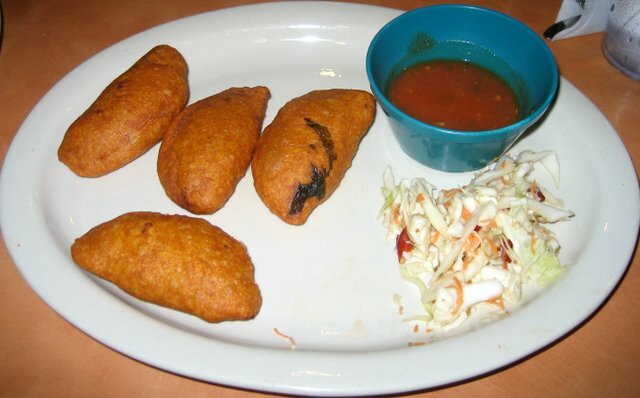 Since this dish comes with 4 empanadas, we naturally ordered one of each! 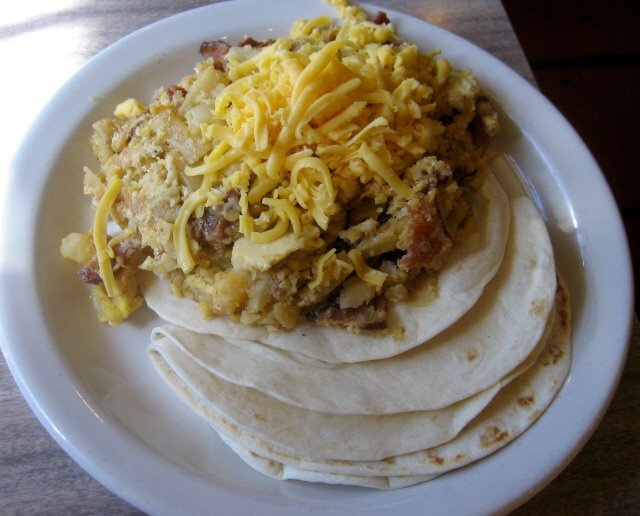 Cheese – This is plain and the cheese is very stringy. Chicken – Better than the cheese, but the chicken was bland. Beef – A little more flavorful and moist, better than the previous two. Spinach & Mushroom – This one was the best! Did not taste any mushrooms, as it was all spinach and cheese. Yummm! 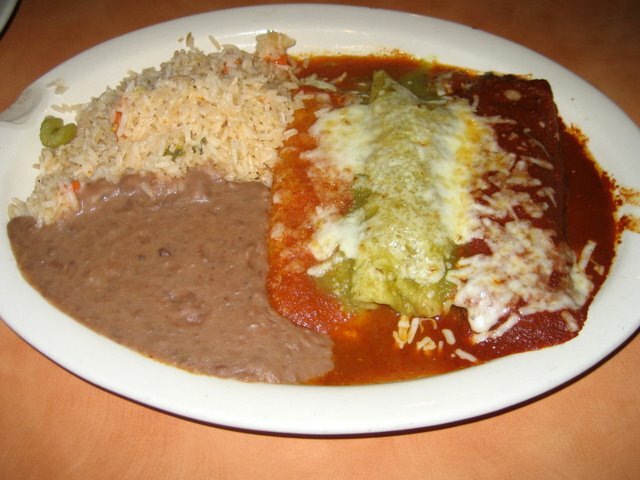 As the name states, it comes with three enchiladas: chicken-verde, beef-roja, and cheese-chipotle. 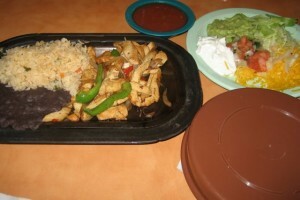 All three enchiladas had decent flavor and did not suffer from bland chicken, stringy cheese, or chewy tortillas. We hate to sound like a broken record, but the chicken was tasteless and needs lots of salsa to increase the edible factor of this dish. Also the cheese was very stringy (we made one about 2 feet long). If the food was as good as the service, then Elsi’s would be a winner. Our waitress was friendly and voluntarily offered her suggestions on what to order from the menu since she could tell we were Salvadorian food newbies. She asked us 3 or 4 times if everything was okay and our waters were refilled promptly. Elsi’s is a casual, no-frills restaurant. The first thing you will notice is that the hostess lets you choose where to sit. Since all the tables are in one big area, it can get very loud during peak hours. People of all ages come to dine here, including couples and families.